A couple days ago I did an hour presentation about Aquaria for the local new media scene here in my home town of Winnipeg (at a pub downtown). It was kind of funny, because I wrote up pages of notes in preparation, but just ended up drinking a beer and winging it instead… and it was awesome! The game development scene here is small, but its growing in some pretty exciting ways. If you live here, make sure you check out the events that are being organized by New Media Manitoba and Game-On Manitoba. Let’s make this city an awesome place for game development. Test Aquaria 1.1.0 for Windows! 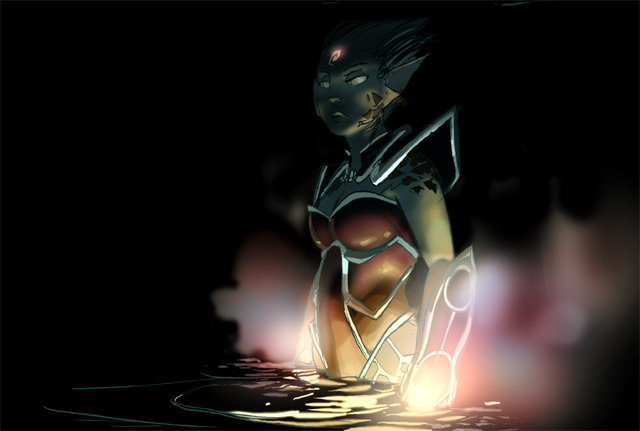 The time is almost here for testing on the new version of Aquaria to begin! The Mac version has just reached beta 3, and once beta 4 hits I’d like to start testing for Windows. If you’ve purchased Aquaria already and would like to help us with quality assurance on all the cool new features (including widescreen), then you’ll want to sign up for a chance to be on the beta! I’m looking to recruit those who already own the copy of the game, with a preference towards those who have been active in the community. If you’re interested, (and who wouldn’t be) follow the instructions below to apply. You’ll want to get that exactly right to make it easier for me to filter emails, so copy and paste! * Short Paragraph on why you’d be an Awesome Tester! If you have played the Aquaria Demo before, and ran into technical problems playing the game, (for instance, strange graphics problems or crashes on start up) by all means, sign up. I could really use your help in debugging hardware-specific problems! Keep in mind that we’re going to pick only a few people out of all those apply, so don’t feel too bad if you don’t get picked this time ’round! And as always, if you want to stay updated with big Bit Blot/Aquaria news in the future, sign up for our Mailing List! One of the coolest things to come out of IRC, is this amazing Cosplay by a friend of forum member Romosome. Check out his full post here. 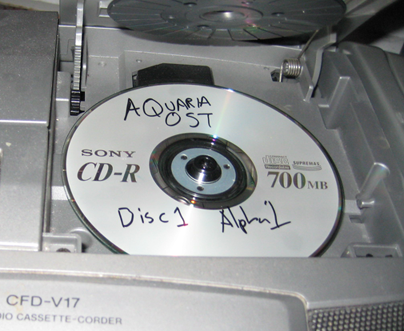 They were also carrying around an Aquaria-styled “crate” with an iPod and speakers built-in, playing you-know-what. Thanks for doing this guys! It was a very pleasant surprise. Indie games may not have the sheer number of fans that mainstream industry games have; but we definitely have some of the most talented and creative! Check out more photos in this flickr photostream. Derek posted a thread on the development of Naija’s visual design on the forums. You can read the full post here. 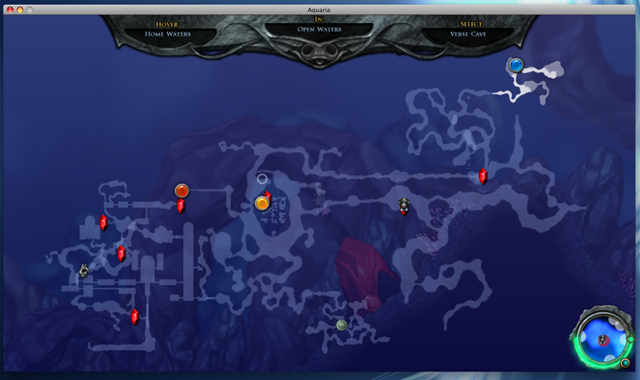 In other news, Beta testing for the Mac OSX version of Aquaria has started! Its hard to tell how long its going to take, but the game is going to be super solid when its done. Check the extended to see a couple of the new features we’ve added to the work-in-progress version of Aquaria 1.1.0 since last time. 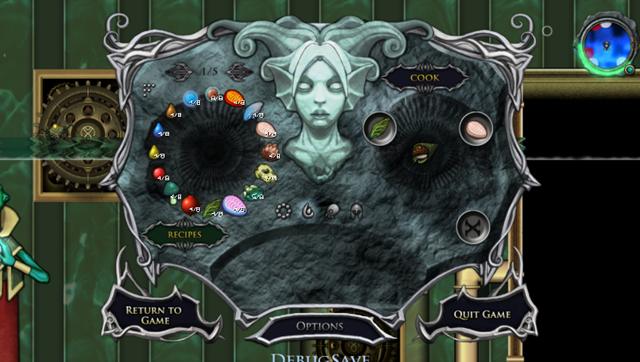 In case you missed it, I updated last week’s post with yet another new cooking feature. Ambrosia’s John Champlin has also been digging up some awesome bugs. He’s like a one man beta testing machine. Thanks John! Info on how to sign up for the Mac beta: here. In addition to the changes in last week’s update, we’ve also been tweaking the food system a little bit. Now when you place at least 2 ingredients you’ll get a preview image of what kind of food you’re about to create. If you haven’t learned the recipe yet, or if the result is a sea loaf, you’ll get a big ol’ question mark instead. Check out more updates in the extended! Time to resurface for a while to talk about progress! 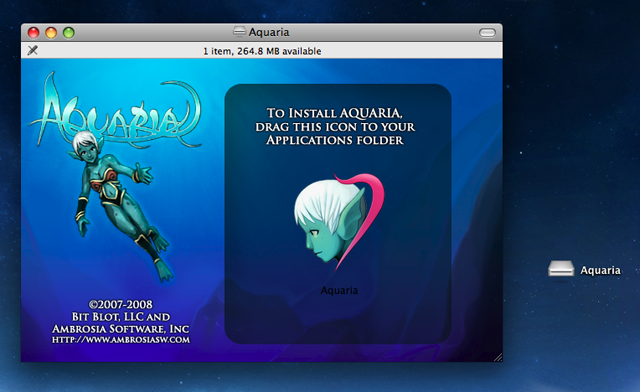 Right now we’re working on the Mac version of Aquaria, which includes changes that bring the Windows version up to 1.1.0. The new world map allows you to check your progress in other areas, as well as letting you see the names of all the areas you’ve visited. There’s also a new hint system built into the world map. I just added three new pieces of fanart to the Community section of the Aquaria website. The amazing artwork above is by one of my good friends, Anthony Wu. He’s working on his first comic book right now, and it should be out in a year or so! Love the mood in that one, though. Gad. The other two pieces are by forum user inkblob, and they’re also wonderful. Unfortunately, I can’t show them here because they’re a bit spoilerish! But I love blob’s unique pen and ink style… if you’ve already played through the game, be sure to check ‘em out! I’ve also added a great PC PowerPlay review (8 out of 10) as well as our GDCA nom to the Press section. For those of you waiting for the Macintosh version, the widescreen version, and all that - Alec’s working extremely hard on ‘em right now and they’ll be done when they’re done! But feel free to leave some words of encouragement for him. We’ve got some other neat things in the works, too. Hi, Alec here! I’m currently stuck at the SF airport. My flight back home has been delayed 2 hours. Sounds like a good time to write a blog post to me. So, GDC is over. It was the most indie-tastic year so far. 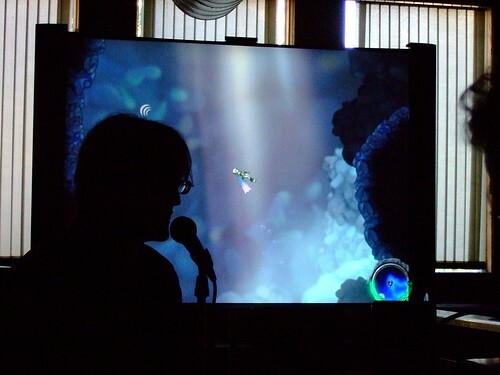 There were a number of cool Independent Game Summit sessions. (including our own; you can read some coverage here, here and here) Indies made a big splash at the awards, with many of the IGF winners donning monocles for their acceptance speeches. (a TIGSource in-joke that I’m pretty sure I started…) Portal, which began life as an indie/student project called Narbacular Drop, won a number of awards - including game of the year. Even Gabe Newell had to name drop monocles when giving his thanks! We were nominated for Best Debut in the Game Developer’s Choice Awards - which was pretty amazing. This is the first year that indie games have been nominated for the GDCAs. We ended up losing to Cracktime - er, I mean Crackdown, (the guy hosting the GDCAs messed that up) but it was really sweet to see and hear the game on the big stage again. Derek and I presented the IGF Seamus McNally Game the Year. (yeah, they actually made us say all that!) Last year it was incredibly exciting to be waiting to see if we’d win Seamus. This year it was a great honor to be able to make our fellow indies nervous, excited and happy. We ended up handing over Seamus to Petri Purho’s Crayon Physics Deluxe (not to be confused with the non-Deluxe version; its quite different) - which is an incredibly fun and refreshingly original game. Overall, I had a great time - I got to meet up with a bunch of cool of people from TIGS as well as other indie developers. There’s nothing more fun than hanging out with creative people who have a great sense of humor!